MK Khenin's son arrested as socialist Hapoel soccer team's fans brawl with Maccabi fans in front of magistrates court. After a fan of the socialist Hapoel Tel Aviv soccer club attacked Maccabi Tel Aviv's Eran Zehavi and ended a "derby" match between the teams on Monday, Hapoel fans violently clashed with Maccabi fans in front of the Tel Aviv Magistrates Court on Tuesday. In the clash, the son of MK Dov Khenin of the radical communist Hadash party was arrested by police. "It was made known to me that my 18-year-old son was arrested at a protest of Hapoel Tel Aviv fans outside of the Tel Aviv Magistrates Court," wrote Khenin on his Facebook page. "I don't have additional details at the moment and we still haven't been able to contact him, but of course I am worried for him and hope that the matter will be resolved quickly." Khenin continued "as a fan of soccer for many years tolerance on the soccer field is important to me. I reject out of hand any use of violence in Israeli sports and hope we will succeed together, as a society, to clean soccer pitches of violence." The clash took place outside of the court as inside a discussion was being held on extending the detention of Elroi Yadai, the Hapoel fan who attacked the Maccabi player Zehavi. He was remanded for an extra three days as proceedings against him continue. At the courthouse clash, youthful fans of both teams arrived armed with belts and clubs and proceeded to attack one another, according to witnesses, with security soon getting involved to break apart the violent fans. Three fans were arrested - including the communist MK's son. Education Minister Shai Piron (Yesh Atid) and Justice Minister Tzipi Livni (Hatnua) denounced the "derby" violence on Tuesday, with Piron linking the event to the 19th anniversary of the assassination of former Prime Minister Yitzchak Rabin. Hapoel – “The Worker” – is a club with socialist roots that date back to the earliest days of modern Zionism; even its flag is socialist red. Being a Hapoel fan is a part of being a leftist for many people on the left side of the political map. The political left has often condemned Beitar Jerusalem, a soccer team associated with the movement that evolved into Likud, claiming the nationalist team has "violent and racist fans." On the other hand, right-wingers often complain that the yearly Rabin memorial is used as a platform for incitement against the nationalist camp. 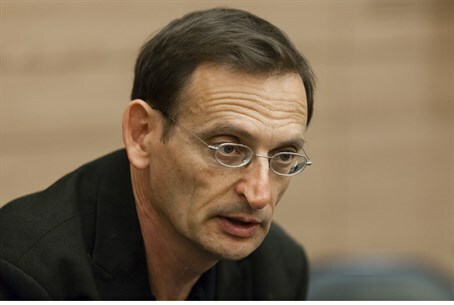 The latest Hapoel incident, which took place on the anniversary of Rabin's assassination, is therefore seen as quite an embarrassment for leftist apologists.